Circulating tumor cells (CTCs) and disseminated tumors cells (DTCs) are difficult to detect and enrich. Therefore, sensitive methods for sucessful downstream experiments are of great interest. Miltenyi Biotec has created an innovative line of products for CTC/DTC enrichment and detection from whole blood, buffy coat, or PBMCs. 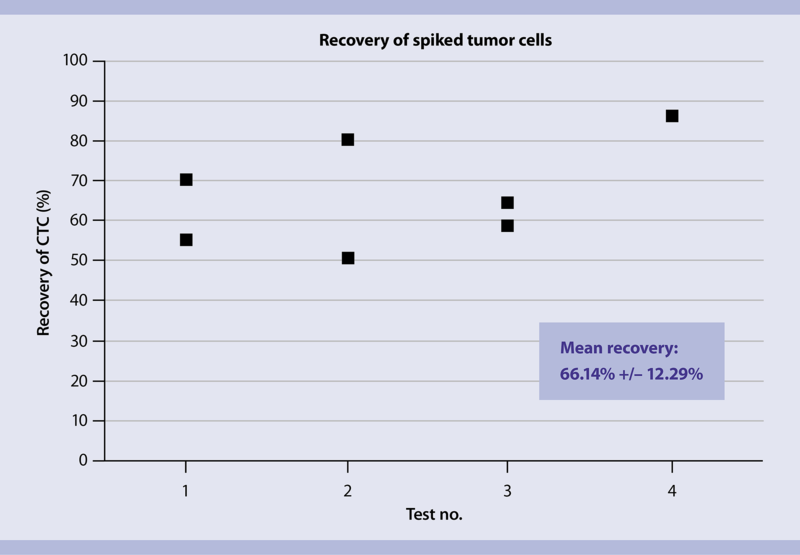 When working with patient-derived xenografts for CTC or DTC studies, human tumor cells within blood or bone marrow can be enriched without knowledge of the tumor specific marker(s) by depleting mouse cells. This enables more detailed characterization of the tumor cells by e.g. flow cytometric or morphogical analysis. Using the StraightFrom Whole Blood CD326 (EpCAM) MicroBeads, DTCs can be enriched within 20 minutes from whole blood samples and then analyzed by immunofluorescence microscopy and Cytokeratin+ staining. CTC recovery after magnetic enrichment using CD326 (EpCAM) MicroBeads. Tumor cells, spiked into peripheral blood, were magnetically enriched by magnetic separation and detected by immunofluorescence microscopy via anti-cytokeratin. 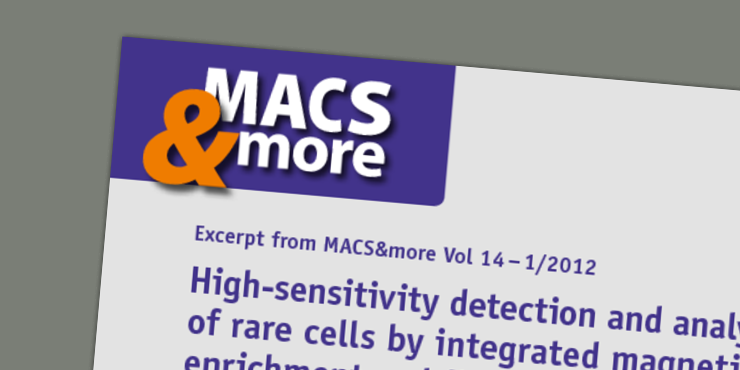 Analysis of rare cells can be greatly improved by magnetic pre-enrichment. 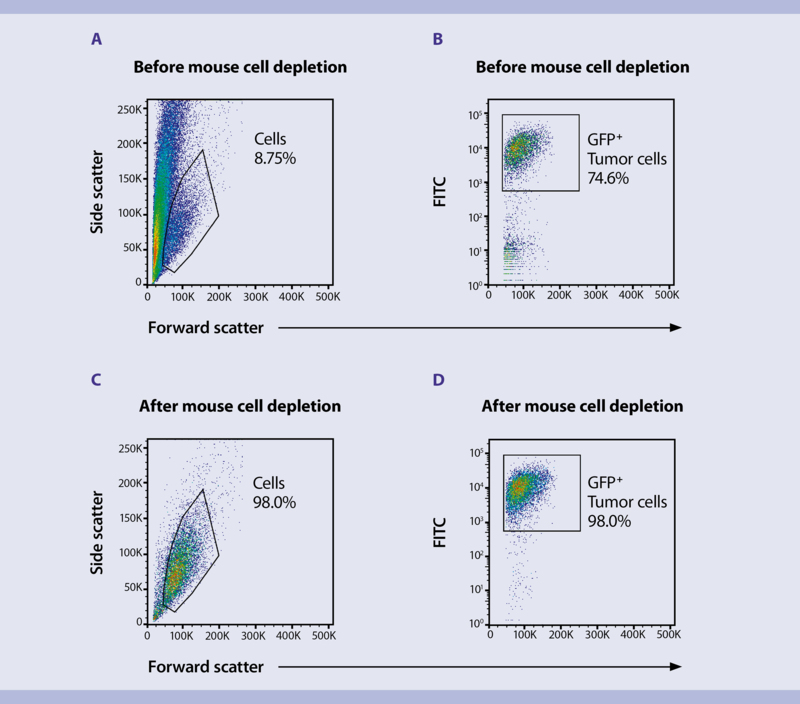 The MACSQuant Analyzer 10facilitates both automated enrichment and flow cytometric analysis. This allows the rapid and reproducible identification, quantification, and characterization of CTCs.